Gianetta has only been at the hotel a few hours when she makes two horrifying discoveries. One is that her ex-husband Nicholas is staying at the hotel. The other is that a local girl was recently murdered on one of the mountains, her body found across a bonfire like a sacrifice. She is said to have been meeting a man from the hotel. All of the men currently staying at the hotel were there at the time of the murder except for movie star Marcia Maling’s chauffeur. Mr. and Mrs. Hartley Corrigan are vacationing with Alastair Braine, an old friend of Gianetta’s, here for the fishing. Colonel Cowdray-Simpson, also a fisherman, would seem to be too old to be a suspect. The famous mountaineer Rodney Beagle is there, climbing during the day and listening nightly to the radio broadcasts about Edmund Hillary’s expedition on Everest. And there is also a bouncy travel writer named Hubert Hay, who is researching his next book, Sauntering Through Skye. The handsome Roderick Grant is also a climber, and he quickly shows a liking for Gianetta. And then there’s Nicholas. Unfortunately, none of the men have an alibi for the murder. Very soon two other visitors to the hotel have vanished, two women who went climbing on Garsven, the same mountain where the girl was found. They were seen from afar climbing with a third person, yet everyone else has returned to the hotel. To her horror, Gianetta is also aware of some information that seems to implicate Nicholas. She begins struggling with understanding where her loyalties lie. 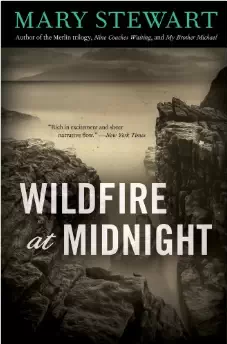 Wildfire at Midnight is atmospheric and suspenseful. 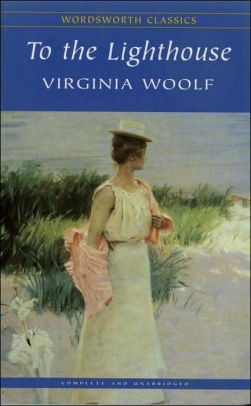 Stewart was a wonderful writer, known for her evocative descriptions of exotic locales and for her engaging characters. I come back to her books for light reading again and again.